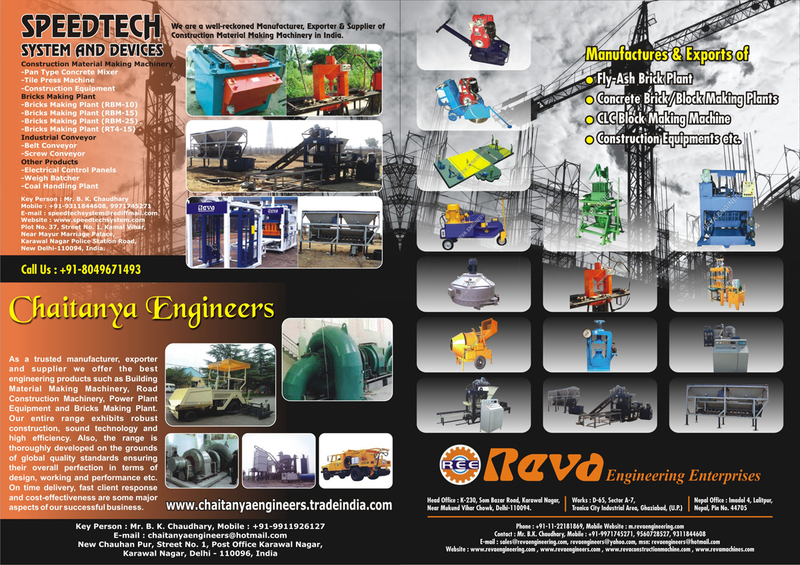 Fly Ash Brick Plants, Concrete Brick Making Plants, Concrete Block Making Plants, CLC Block Making Machines, Construction Equipments as an active Manufacturer, Supplier, Dealer, Distributor, Trader and Seller etc. (*Importer/Exporter/Service Provider). © Copyright 2019. www.99machineryforyou.com, All Right Reserved.